The pre-match hype was all about £50M Fernando Torres, the post match hype all about King Kenny. Liverpool completed a league double over Chelsea at Stamford Bridge thanks to a 69th minute Raul Meireles strike after a cross from Gerrard. Less than a month ago the reds were staring down the barrel of potential relegation. Today, after their 4th straight win, with 4 clean sheets and 7 goals in the process, Dalglish fielded post match questions about the possibility of making it in to the Champions League places. Admittedly such talk is premature, but the reds have narrowed the gap on 4th place to just 6 points – although Chelsea do still have a game in hand. Chelsea lined up with one of the most expensive forward lines in football history, a three pronged attack of Drogba, Anelka and new boy Fernando Torres. But despite this Pepe Reina had very little to do all game. Admittedly, neither did Cech, well apart from picking the ball out of his net. 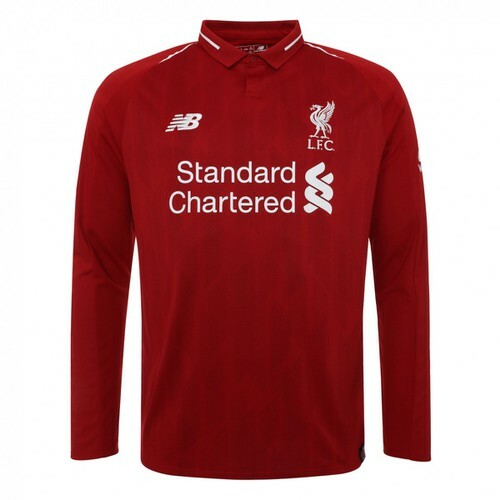 The reds continued with their 3-5-2 formation they first used against Stoke in midweek, Carragher returned to the side after a lengthy lay off with a dislocated shoulder. Liverpool left Luis Suarez on the bench, and in the end didn’t even need to call for his services. But Torres almost got a helping hand to a dream start for him, when Maxi Rodriguez played a horrible back pass his way, only for the former red to fire way over the bar. The only other chance of note was a shot that was blocked by Carragher – although it appeared that it was heading easily in to Reina’s hands. Liverpool should have gone in to the dressing rooms at half time 1-0 up, Maxi Rodriguez missing an open goal and managing to hit the cross bar from about 3 yards out. Moments later Ivanovic and Cech almost came to blows when they both went for the same ball. Torres was removed on 65 minutes after a miserable start to his Chelsea career – but it salt was about to be rubbed on to his wounds 3 minutes later. Gerrard found space on the right wing and played a cross in to the box. Ivanovic and Cech both hesitated, no doubt connected their first half mistake, and Meireles made up terrific ground to smash the ball in to the net, in front of the celebrating fans. Liverpool went through the motions, comfortably seeing out the rest of the game, and as the travelling Kop cheered – Torres sat on the bench looking on. The media hype was misplaced on a 26 year old Spaniard. It is a 59 year old Glaswegian called Kenny who is restoring pride to one of the ‘real’ big clubs in the World. You did us proud by storming the blues!!!! What a weekend! And Ian got it so right: NICE ONE WOLVES! I think we all need to give him a thumb up! Nice one mate! Once more Kenny showed after the match, don’t matter how good the lads play, the best performances come from the king himself off the pitch! And off course the travelling kop singing and chanting all the way through were just absolutely fantstic! …”nice one wolves” ROFL! So brilliant lad! Proud to be a Red. Kenny you are a legend. nearly cried at kennys interview, “if the liverpool people love me, its only half as much as i love them, (or summat like that), ive no voice today, its so great to go into work proud, kenny is a total f***ing legend. agree with previous, torres looked like a rabbit caught in the headlights, one shot of him on the bench showed him with a, “what have i done” look slapped all over his mush. Fans were magnificent, showed the chavs what passion is all about, i was so proud to hear them throughout the whole game. it aint all about money !! King Kenny would look far better on that footer!! Firstly El Nino looked as glum as ever despite his so-called dream move, i guess you can’t win them all ehh Fernando!!? The tactics to strangle them were brilliant as too was our more attacking style of play, we had many boy’s in the box on every attack and also kept the ball much better then we have done under Rafa and Roy. I’ve often blasted Lucas in the past but he was awesome today breaking up their attack much like Mascherano of old before he started warming Barca’s bench!! Still need a few wingers and perhaps even a creative midfielder in the summer depending on how Joe Cole progresses. We’re going in the right direction under Kenny that is back to the future!. look think anything kk does is beggining to look as though he is a genius. he can definately get the best out of the reds.hope we can get into 4th spot. cant understand why saurez never participated perhaps next game. torres will face problems at chelsea perfect timng by the reds to offload him. He didn’t play because he needs time…. throwing him in against Chelsea would not have helped his progress. The home match against Wigan will be the perfect opportunity to give him more pitch time, either as a starter or with 30 minutes left as a sub. Chelsea made the mistake of throwing Torres into the shark’s tank… we didn’t want to do the same to Suarez. Brilliant by Dalglish, especially with the 1-0 lead. Had we been down 0-1, I bet we would have seen him out there. I am ecstatic about this win- KK is the right man for the job. NESV will give it to him in the summer, not now, so let’s be patient! I luv itttttt!!!!! cant say it enough… “LONG REIGN THE KING”. Please, please, please, please sign KK up now as Manager now. What a tactitian hey? No need for el pistolero just yet give him time, and he was so right, look at what the quick intro did for el traitorres, absolutely nothing, that’s what, and just so you know… you don’t stop loving this club. Thanks for the 50 chavs. YNWA ever.